25 October 2018 — Fifteen Guatemalan women from the Q’eqchi indigenous group, who were enslaved and raped by the military during the Central American country’s 36-year-long civil conflict, are still waiting for hard-won reparations to materialize. With the help of local women’s rights organizations, including UN Women and other UN partners, the women from Sepur Zarco in the east of Guatemala succeeded in securing the conviction of two former military officers on charges of crimes against humanity, back in 2016. It was a groundbreaking legal decision; the first time anywhere in the world that a national court had prosecuted sexual slavery during conflict using national legislation and international criminal law. But UN Women say that many of the reparations have not been paid. 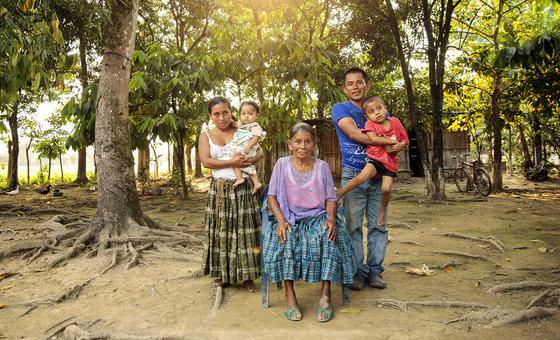 Read more here, about the women known respectfully as the abuelas (grandmothers) of Sepur Zarco. (SOURCE: UN News).